Movement is the universal language of human expression. Understanding the how and why of moving well helps us aspire to move often. FMS dives into the importance and science of movement. Included in our FIT & HIIT Training classes, DPTSI will use FMS, SFMA, and/or FCS screens to get you to your peak performance goals. • recognize movement patterns that support work, sports and daily activities. • Understand the true relationship that movement patterns play in our health and fitness goals. • Identify principles to support the importance of movement screening. • Explain the role of mobility, motor control, and functional patterns in fundamental movement. 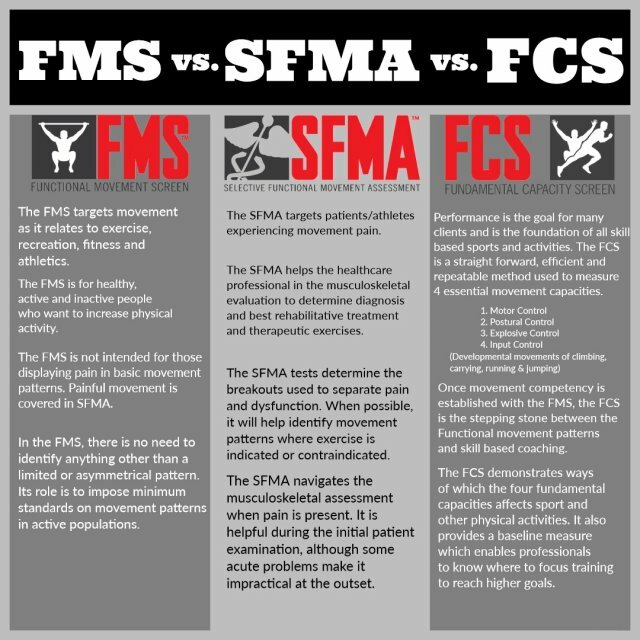 The principles of movement are implemented from the results we derive from the Functional Movement Screen, allowing our professionals to make programming decisions with precision and purpose. Screen results provide valuable feedback throughout the training process to ensure we are meeting short and long-term movement goals for lifelong health and vitality. 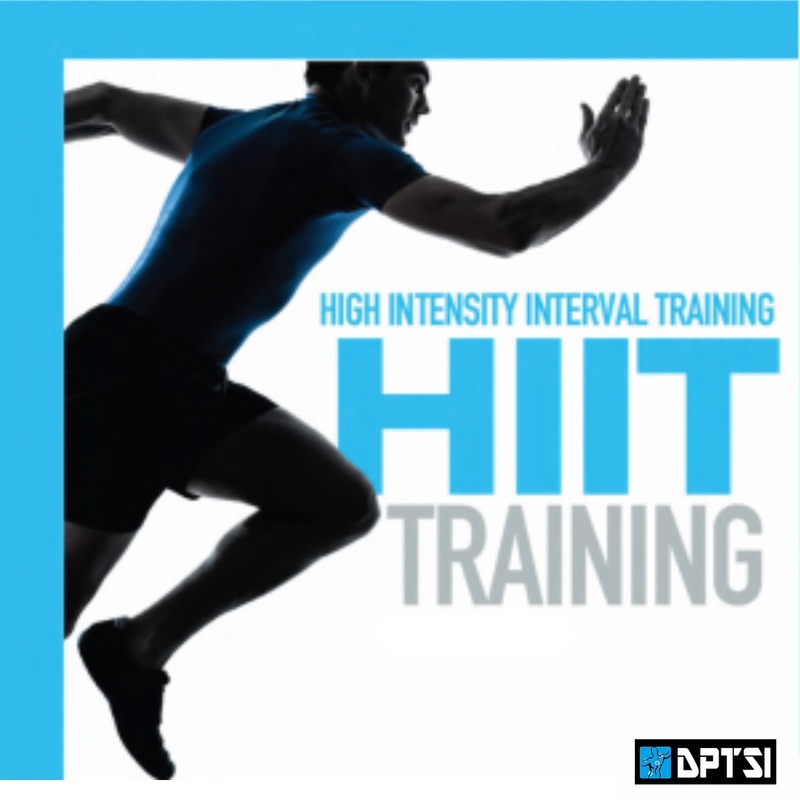 We're cranking it up at DPTSI with Functional Interval Training and High Intensity Interval Training (HIIT). 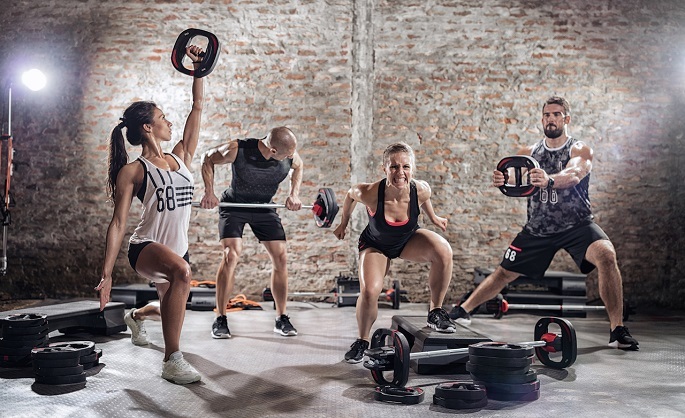 These circuit training classes will utilize strength & conditioning tools such as kettle bells, battle ropes, medicine balls, resistance bands, and much, much more. A solid dynamic warm-up will start you off right followed by a series of station intervals and body weight movement exercises then a nice stretch session to close out class. Expect a high calorie burn and some sore muscles after FIT & HIIT! With Functional Intelligent Training, we believe in helping you move better. You'll move STRONGER, FASTER, and LONGER. Our signature FIT & HIIT classes will reap maximum benefits in the minimum amount of time and help you outperform your competition. A combination of innovative and traditional methods, such as suspension training, medicine ball tosses, and rope slams, will improve strength, power production, and cardiovascular fitness. Nothing else will help create such a well-rounded fitness profile from head to toe. 8-12 one-minute intervals of high intensity had the same effect on metabolism and muscle function as about 90 minutes of cycling at a moderate pace. 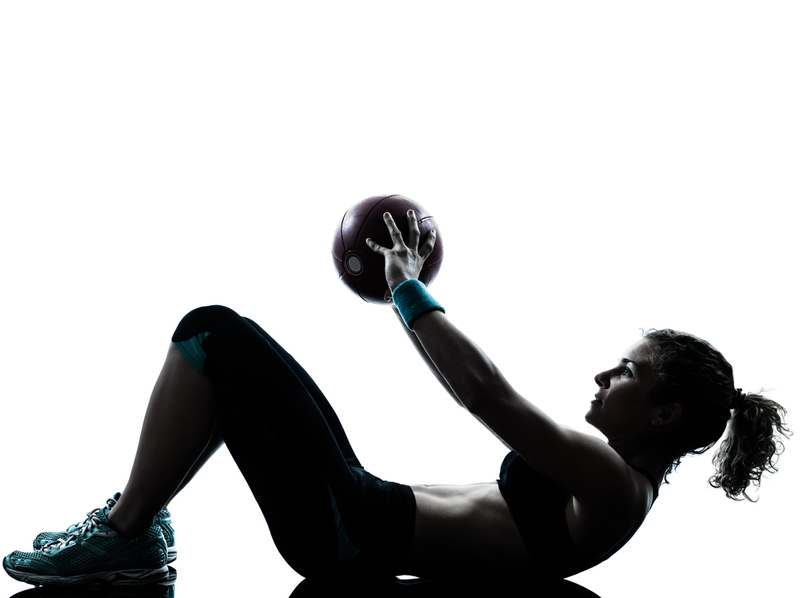 Studies show high intensity intervals reduced more abdominal fat compared to sessions of moderate intensity. The formula is simple — the harder you work out, the more calories you’ll burn. After a sweat sesh, our metabolism can stay elevated for a period of time — a term known as the afterburn effect (i.e. we burn more calories after exercise is complete, even if we’re lounging on the couch watching TV). Adding bouts of high intensity exercise during a workout has been show to increase the afterburn — also known as “excess post-exercise oxygen consumption” or EPOC — even more than moderate exercise. A primary benefit of interval training is its ability to increase aerobic performance. Because muscles work super hard during high intensity intervals, they require more oxygen during and after exercise, which explains both improved cardiovascular strength and post-work out calorie burn. HIIT gives you the same physiological results as long duration cardio in a fraction of the time. HIIT taxes both aerobic and anaerobic fitness while traditional, steady-state cardio only addresses aerobic. Aerobic fitness increases your need for oxygen and anaerobic training builds muscle, thus, these workouts will increase your endurance and make you stronger at the same time. HIIT works because burning fat requires oxygen and the more oxygen that gets inside your body, the more fat your body burns. This “afterburn” effect is referred to as excess post-exercise oxygen consumption (EPOC) and is the reason why intense exercise will help burn more fat and calories than regular aerobic and steady-state workouts. High Intensity Interval Training gives a natural boost to human growth hormone (HGH) production, which is essential for optimal health, strength and vigor and has been shown to significantly improve insulin sensitivity, boost fat loss and increase muscle growth. Studies have shown that in the 24 hours after a HIIT workout, the body produces 450 percent more HGH, encouraging your body to build and preserve lean muscle mass while still ridding the body of excess fat. Igniting EPOC or afterburn translates into a metabolic boost for up to 48 hours after a completed HIIT routine. Since HIIT helps build muscle mass, and muscle cells burn more calories than fat cells, HIIT further contributes to increasing your metabolism. Most people aren’t used to pushing their bodies into the anaerobic zone (that lovely place where you can’t breathe and you feel like your heart is trying to jump out of your chest) but working this hard is super good for your heart. In a 2006 study, researchers found that after eight weeks of doing HIIT workouts, subjects could bicycle twice as long as they could before the study while maintaining the same pace. HIIT taxes both your aerobic metabolic system and your anaerobic processes, which is what you need for optimal cardiovascular benefit. Running, biking, jumping rope and rowing all work great for HIIT, but you don’t need any equipment to get it done. High knees, fast feet, or anything plyometric like jumping lunges work just as well to get your heart rate up fast. In fact, sometimes equipment can make HIIT less effective because you want the focus to be on pushing your heart to its max, not just any one muscle group. Pushing your body and your brain beyond your comfort zone will develop mental resiliency and allow you to increasingly challenge yourself both during workouts and in your everyday life. Persevering through tough, high-intensity workouts will give you the confidence to tackle other challenges that come your way mentally and physically. You’ll hear your inner voice shout, “I can do this!” And you’re inner voice will be correct. High-intensity interval training (HIIT) is a form of interval training, a cardiovascular exercise strategy alternating short periods of intense anaerobic exercise with less intense recovery periods, until too exhausted to continue. These intense workouts typically last under 30 minutes, with times varying based on a participant's current fitness level. HIIT workouts provide improved athletic capacity and condition as well as improved glucose metabolism. With this type of training, the benefits are plentiful, including increased metabolic rate, optimal muscle building and muscle retention coupled with fat loss and increased calorie burn during and after the workout. But there’s a lot more to HIIT that can benefit you as a physique-minded athlete. Come join our muscular endurance class if you want to get a great full body workout while torching body fat. A combination of body weight, free weights, and kettlebells are used to work all major muscle groups. This is an excellent way to increase muscle strength, endurance, and general fitness. 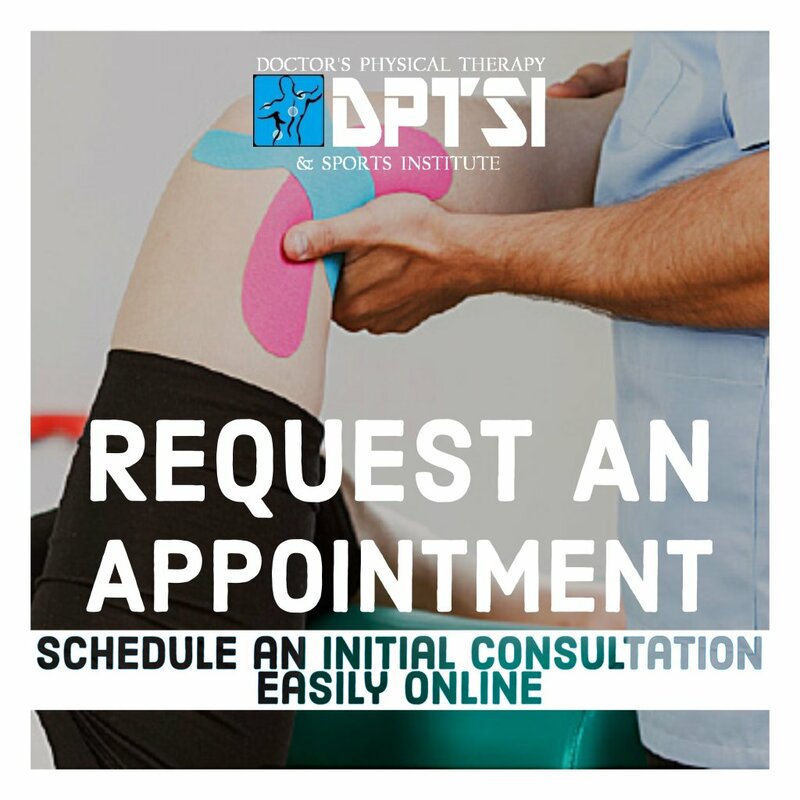 We offer Custom Sport-specific training programs from a Doctor of Physical therapy. 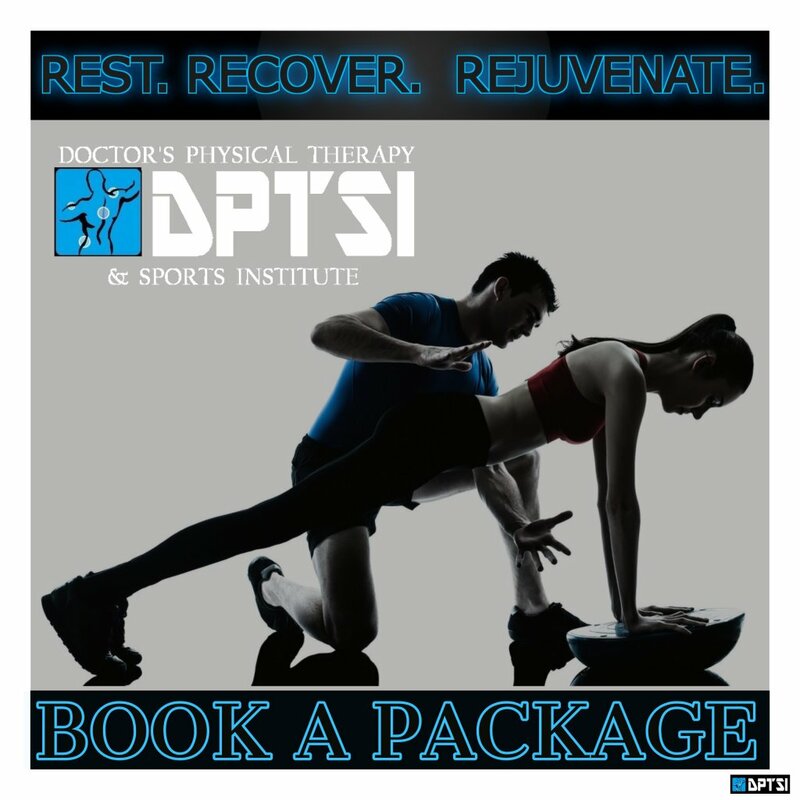 Our therapist's expertise in movement-specific exercise programs will prepare you for physical activity but will more importantly do it to prevent injury. 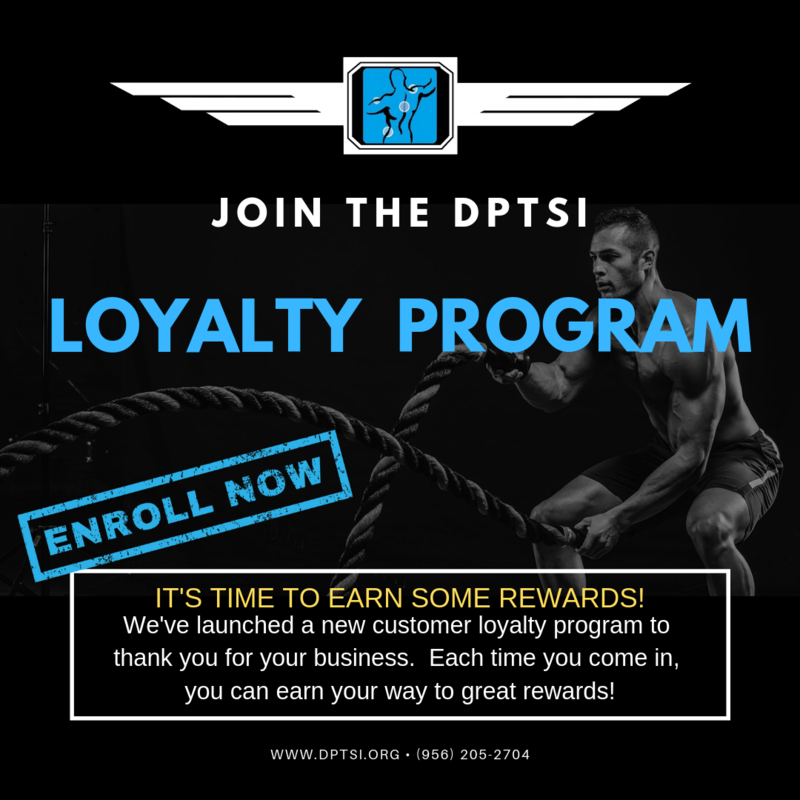 DPTSI FIT Programs are constantly being evaluated and re-worked to reflect the wants and needs of our clients. In this way we are able to offer only the freshest and most dynamic training in the area, and you are able to try a multitude of different modalities and get a better idea of what you want to focus on when it comes to fitness. Often, our classes will evolve into a more advanced and challenging 8, 10, or 12 week special class. We continue to progress our class participants as long as they are motivated to progress…the challenge never ends! Our services aren’t just restricted to 1 on 1 training. We realize that training partners with like goals and a similar mindset are worth their weight in gold. With that in mind, we offer you the ability to request a customized class for you and your friends. Use that mutual motivation to your advantage! We’ll handle the logistics and programming; you focus on doing the work to achieve your goals. Earn 1 Point on First Visit. After 5 Points you get 1/2 OFF Next Visit!